The US Food and Drug Administration (FDA) introduced the Nutrition Facts label in 1993 with the goal to provide valuable nutritional information for consumers. After more than two decades, the design of the label is undergoing significant design and content changes. This list of frequently asked questions gives an insight into the most vital information about these changes. 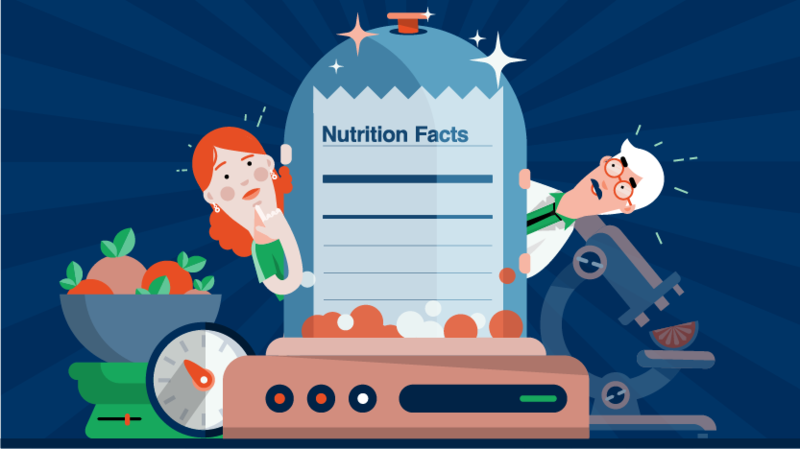 Why is the Nutrition Facts label changing? One of the main reasons for the food label change is the fact that the design is over 20 years old. In this time, numerous scientific studies have taken place, and the knowledge we have about nutrients and the correlation between diet and health has increased. Some label information has been rendered obsolete, while other nutritional values will be added in accordance with the new scientific findings. The aim is to have new nutrition facts labels that will highlight important nutrients and values and help consumers make better decisions based on label information. How long do the manufacturers have to comply with the new FDA regulations? The FDA compliance deadline is July 26, 2018, unless you’re a manufacturer who earns less than $10 million in annual food sales. In this case, you have another year to comply with the regulations and the deadline is July 26, 2019. Do the new rules apply to imported foods? Yes. All foods imported to the United States will have to meet the new FDA requirements. Will the trans fat declaration remain on the new label? There has been a lot of controversy regarding trans fats in recent years, and while general guidelines propose limits to daily intake of these fats, they aren’t eliminated from the new food labels. While artificial trans fats are generally not recognized as safe, there is still a number of foods that naturally contain trans fats – mostly animal-based products from ruminants like cows and goats. Why is the vitamins declaration changing? When the old food labels were designed over two decades ago, many people were deficient in vitamins A and C, which is why the amounts of those vitamins were required on the labels. Today, due to dietary changes, very few people suffer from vitamin A or C deficiency. On the other hand, research shows that people lack vitamin D and potassium in their diet. The new labels will require the declarations to show the actual amount and the recommended daily value percentage of vitamin D and potassium, to help fight micronutrient deficiency and improve diets. To read other blog posts related to the FDA Food Labeling Regulation, click here.